It is Autumn but the Grebes think it is Spring. While we were watching the Spotless Crake, I took a few shots of the Hoary Headed Grebe that had passed by just below the platform we were standing on. 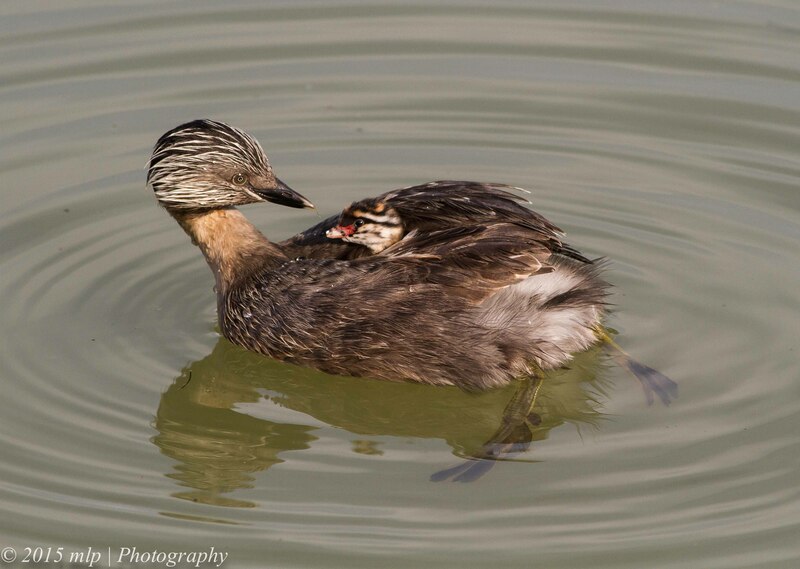 Usually Grebes don’t get too close to humans and will automatically dive under water if they feel threatened in anyway. Just looking at them directly can make them disappear. This one stayed nearby and did not dive at all, it just dibbled a bit under the surface. The young eagle-eyes of one of my fellow birders noticed a splash of orange/red on the grebe’s back and said that it might be injured. 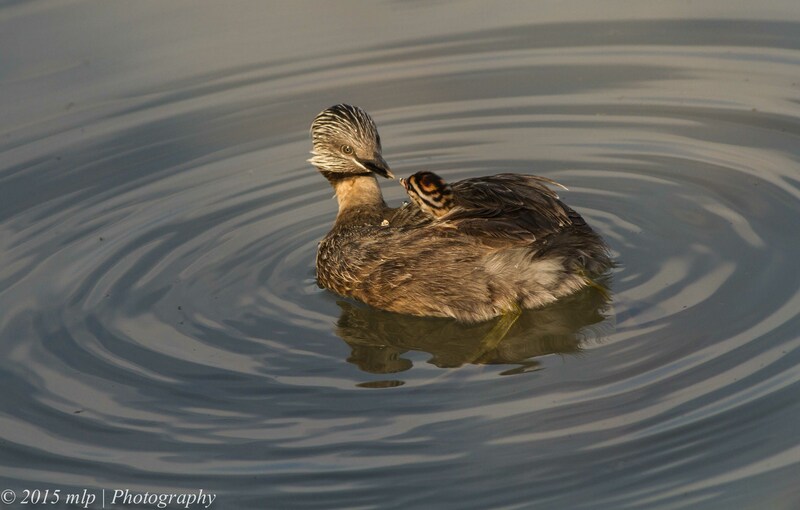 Meanwhile I just kept shooting…..
Hoary Headed Grebe with a little splash of colour in the centre of its back. and then out popped a hitch-hiker…. 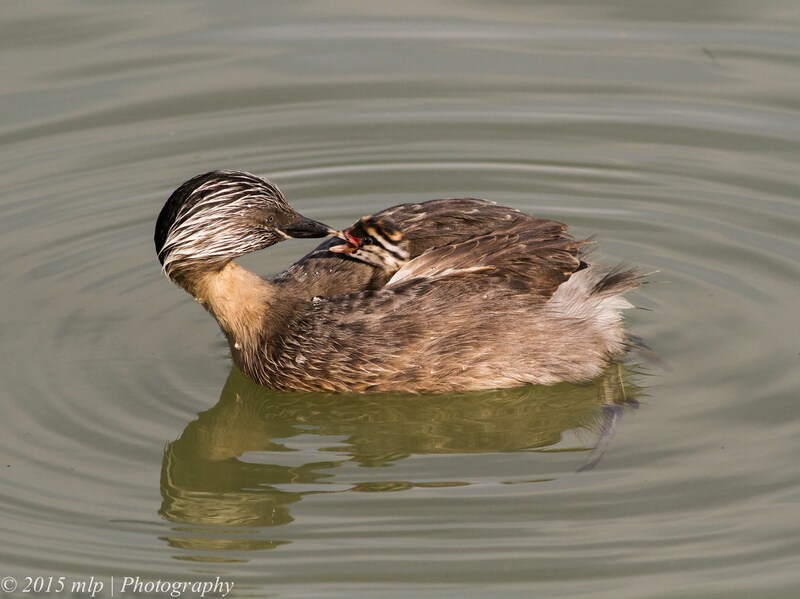 Hoary Headed Grebe – get along mummy…. Birds will continue to breed through Spring/Summer/Autumn if there is a stable food source and minimum threats. 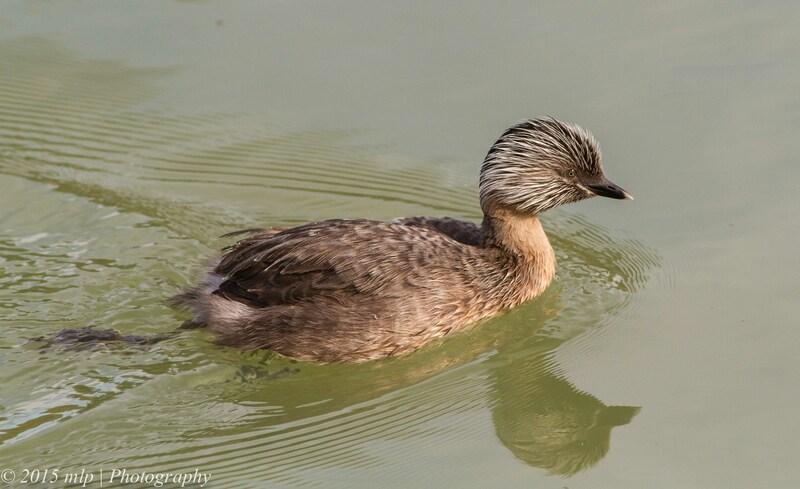 The local birders have not seen Grebes breed at the Lake before and it is a good sign. 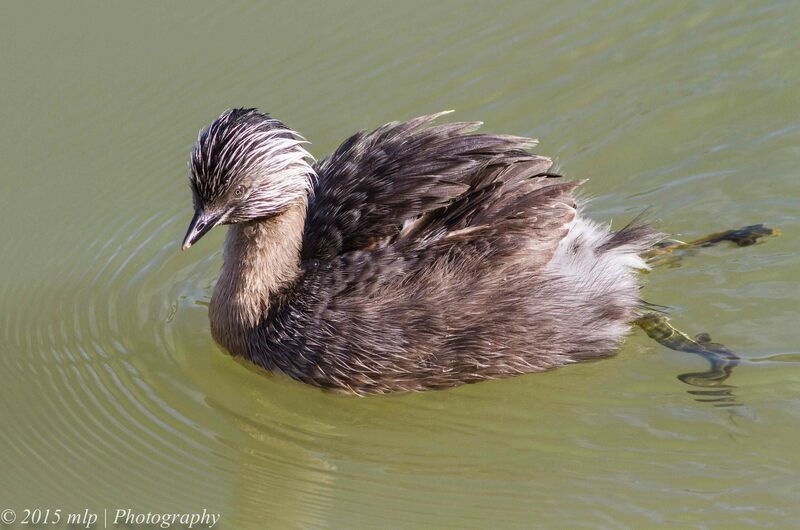 This entry was posted in Bird Behaviour, Birds, Victoria and tagged Australian Birds, Bird Photography, Elsternwick Lake, Hoary Headed Grebe, Nature Photography, Photography, Victoria. Bookmark the permalink. 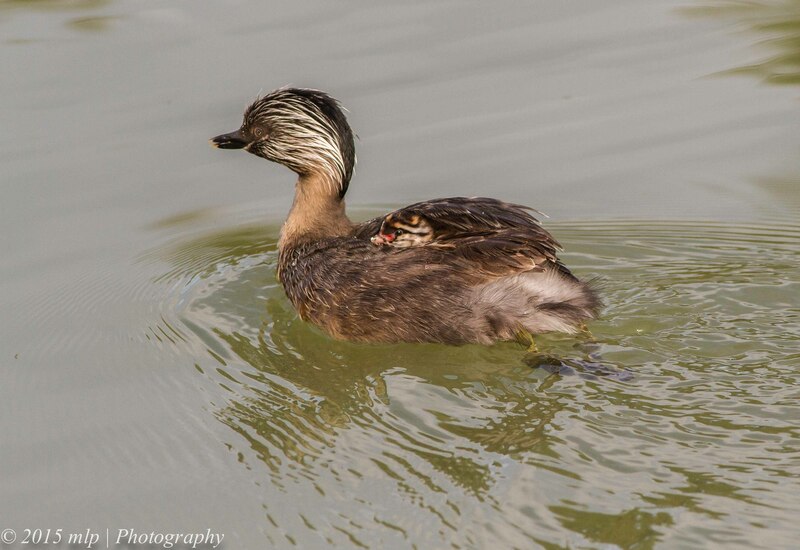 That’s an amazing shot of the Grebe and its young – I have never seen anything like it. I shall have to get down there on the weekend with the binoculars. I agree it is only in the last couple of years I have seen them on the lake, I had never seen them previously… and before they started reconstructing the pond in the St Kilda Gardens we even had them here. Clearly the word is out in the Grebe community… St Kilda and Elwood is the place to be!